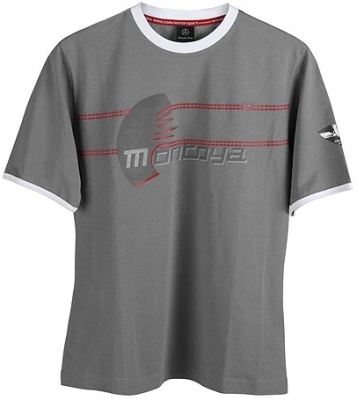 Official McLaren Mercedes Juan Pablo Montoya T-Shirt. Short sleeve, round neck t-shirt with JP's new logo. Available in size L, XL & XXL. This is of course official McLaren Mercedes McLaren merchandise.